How to insert the SIM card on this device? What are the sensors available on Micromax Canvas Nitro 4G? How to schedule power on and power off on Micromax Canvas Nitro 4G? How to take a screenshot on Micromax Canvas Nitro 4G? How can we change the wallpaper on Micromax Canvas Nitro 4G? What is the SAR value of Micromax Canvas Nitro 4G? 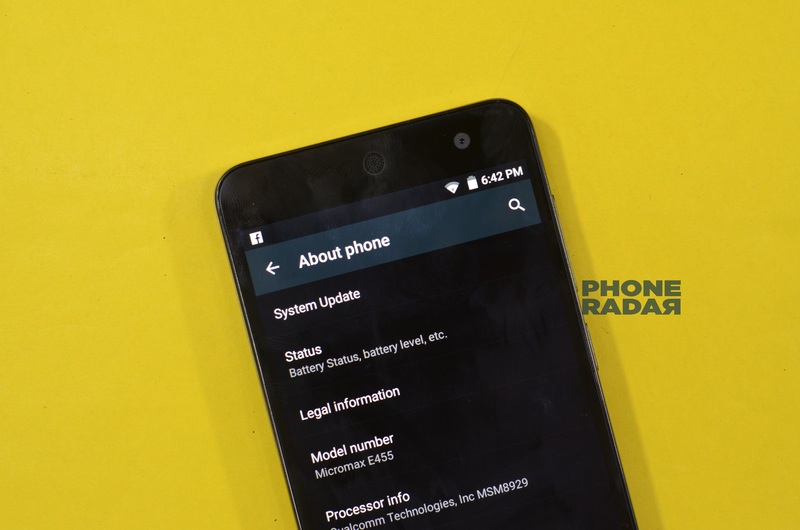 How to reset Micromax Canvas Nitro 4G? What is the Model number of Micromax Canvas Nitro 4G? What are the pre-installed apps on Micromax Canvas Nitro 4G? Will the device get Android Marshmallow? How much RAM memory is available on the device? To share your data with another device on Nitro 4G, we need to have an activated internet package. 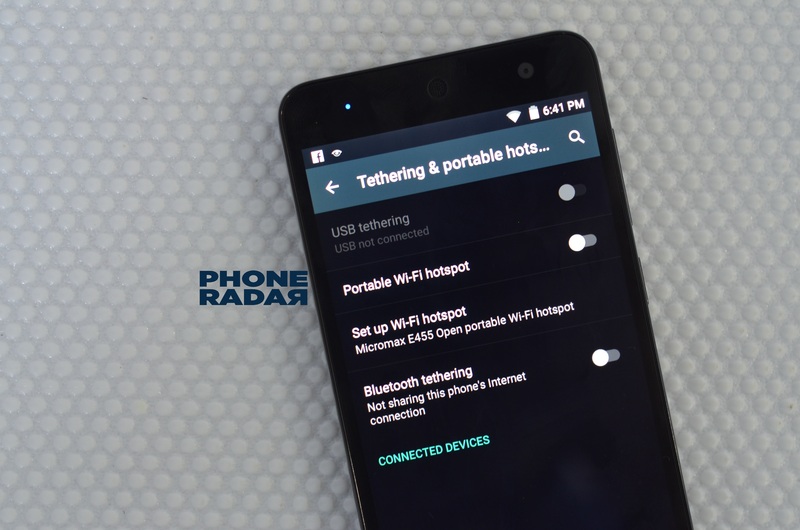 Now go to the settings of the device and tap on the more, here we can find the option tethering and hotspot. Now your device is ready to share data via Bluetooth tethering and USB network sharing options accordingly. Micromax Canvas Nitro 4G supports dual SIM, and both the slots are micro SIM. Dual SIM phones are a must in these days as people like to use two different SIM for professional and personal life. To insert an SIM on Micromax Canvas Nitro 4G, we need to remove the back cover and also the battery powering the device. Just above the battery, we can see two micro SIM ports. These SIM’s can be inserted according to the preference. Being a mid-range device, this smartphone does not have many sensors to accompany with. This device has the sensors like Accelerometer, proximity and compass. Micromax Canvas Nitro 4G comes with an internal storage of 16 GB, and it is accompanied with 2 GB of RAM. The actual amount of internal memory available on the device after all the software installation is lesser than the 16 GB, i.e. at 11. 5 GB. Yes, the memory on the device can be extended up to a maximum of 32 GB via microSD card slot. Memory is needed to store more data, and microSD card slot helps and solves the same. Yes, there is a notification light on the device, which blinks when there is an unread notification. This is very much useful as the notification indicates if there is any message and makes sure you do not miss them. This is called as Pulse notifications light that can be turned on from the options Sounds and Notifications available from settings. Scheduling power on and off on your smartphone is an important feature as it lets you control your device usage accordingly. To turn on or turn off this feature, go to the settings of the device and select the option Schedule power on and off. From here you you can set-up the power on and power off time. No, this device only supports HD video capturing, as it is a mid-tier device. 4K video recording can mostly be expect from high-end devices or camera centric devices only. Like most of the smartphones, taking a screenshot of this device is very easy. Hold the power / lock button along with the volume button to capture a screen shot. Make sure that you press both the buttons simultaneously and the captured screen-shot can be viewed in the gallery app. Benchmarking scores of these devices are given below and these are the scores that we got when we run the tests on this device. To check if there is any update available on the Micromax Canvas Nitro 4G, we need to go to the settings and select the options About Phone. Here we will have the option System update, by clicking on this we can find out if there are any updates available on the device. To change the wallpaper, select the option display from the phone settings, wherein you can find the options like, Gallery, Live Wallpapers, Photos and Wallpapers. You can choose from the image you want to set as you wallpaper from the given options. The SAR value on the device as mentioned by the company in the box is, 0.45W/kg@ 1g (Head) 0.48W/kg@ 1g (Body). Lesser the SAR vale, more efficient the device becomes in using since more value of SAR can effect the brain of the user. Yes, the Micromax 4G LTE supports 4G as its name suggests. The device gives up to 50 Mbps of upload speed and Up to 150 Mbps of download speed. With huge heaps in the internet market, every phone has to support 4G LTE to experience faster data speeds. To reset the device, we need to go to the settings option of the device and select Backup and reset. Before you proceed with resetting the device, make sure you backup all the important data, and the battery on the device is more than 50%. This will make sure you do not lose any contacts or other data. To change the font size on Micromax E455, go to settings of the device and select the option display. Now you can find the option Font Size that can be changed to Small, Normal, Large and Huge according to the user. The Model number of the device as mentioned in the device is Micromax E455. To check the same, we need to head to the settings of the device and select the option About phone wherein you can find the model number of the device. The battery powering the Micromax Canvas Nitro 4G is a 2500 mAh Lithium Ion battery. This battery should be good enough to power the device an entire day with normal usage. It gives a Stand-by of Up to 273 h (3G) and Talk time of Up to 8 h (3G). The device comes pre-installed with apps like App Center, Chaatz, Scandid, which scans the bar codes. There are others apps like Clean Master, Hotstar, Housing, NewsHunt, Quikr, Snapdeal, SwiftKey and Saavn. Yes, the back cover of the Micromax Canvas Nitro 4G is removable. After removing the plastic back cover, we can see the battery, SIM slots and the microSD card slot. Having a removable back cover is always an advantage than non-removable covers. Box contains micro USB cable, a travel adapter, SIM adapters, Earphones, Warranty card and Battery. So these are few tricks and tips for Micromax Canvas Nitro 4G, which is a direct competitor to Motorola’s Moto G and priced at around Rs. 9,999. Currently, Nitro 4G is running Android 5.0.2 Lollipop out of the box, but the company has not given any word on the Marshmallow update. I dont think the device will be getting the update any sooner, as many high-end devices are yet to receive this update. Micromax Canvas Nitro 4G comes with 2GB of RAM out of which 1.4 GB is available and the rest are utilised by System OS and other background applications. 2GB of is a good inclusion for a midrange device and will definitely be a device to consider. 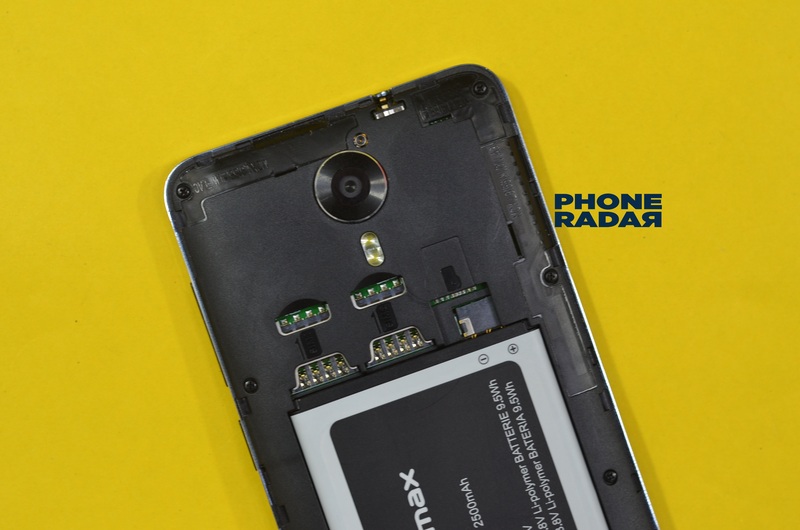 If you have any more doubts regarding this device, do drop a comment in the Phone Radar Forums, and we will get back to you.